Our Custom Wood Countertops Blog features the industry’s most talented and innovative designers throughout the United States and abroad. 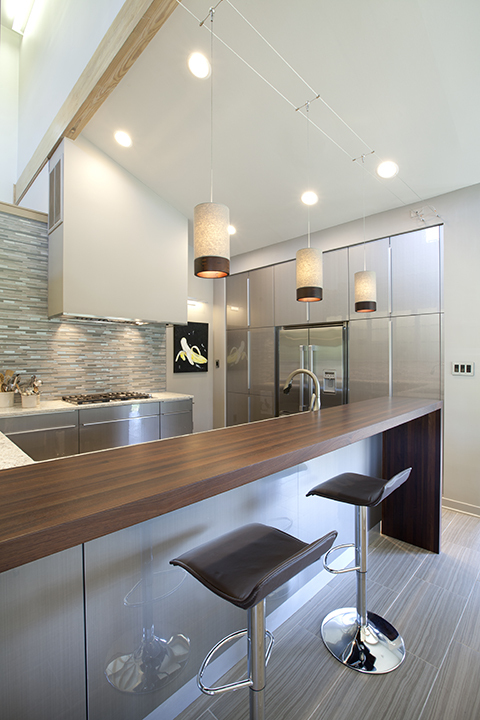 This featured kitchen includes a Peruvian Walnut Waterfall Bar Top designed by Lukejohn Dickson of La Source. About the Designer: Building from his training at The Rhode Island School of Design, Dickson uses his progressive business and design experience to create unique spaces for his clients. He was awarded “The Rachel Carson Environmental Award” for his contributions and work in ‘Green Design’. He was recognized by his business peers as one of Savannah’s “40 under 40 Business Leaders.” The Historic Savannah Foundation recognized Dickson for his projects completed as part of the Lincoln Street Initiative. Dickson has a passion for details. From salvaging architectural elements to sourcing just the right hardware no design element is considered too small. Dickson seeks to provide his clients with exceptional products. 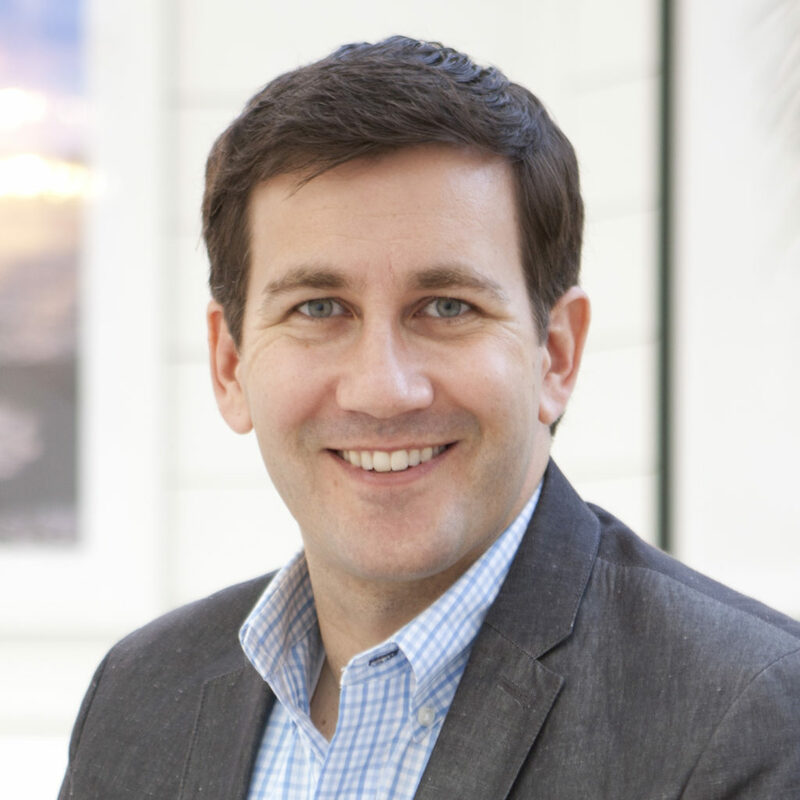 He travels extensively throughout the US and abroad to find the best products in the kitchen and bath industry. A Tip from Lukejohn: Never loose sight of the Design-Vision. Every material, surface, appliance, lighting fixture, etc., should be reflected against the Design-Vision in order for the design to ensure it delivers the same excellence the vision brings to the table. Other Items, Comments or Advice: This kitchen was a complete gut renovation. 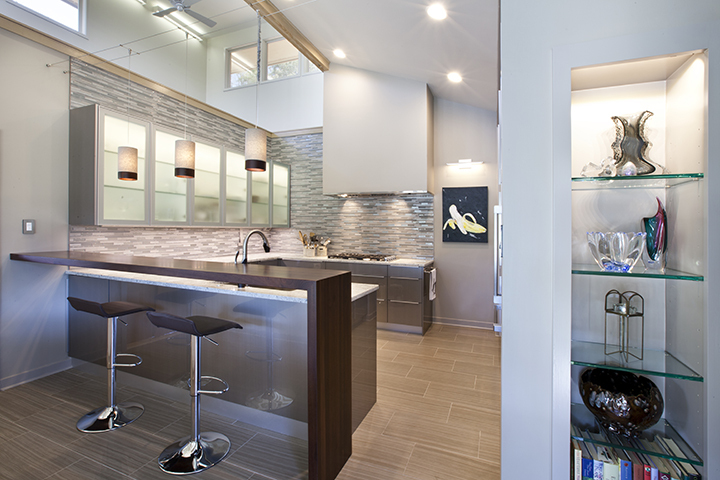 The previous kitchen did not complement the modern architecture of the house, and the new design brings in elements of architectural details consistent with the home. The Grothouse bar top was intended to be a focal point, while not feeling like a “heavy bar”. You can see through to the lower level granite countertop, which compliments the various levels within the house to give a sense of openness. View additional designs by La Source on their website. 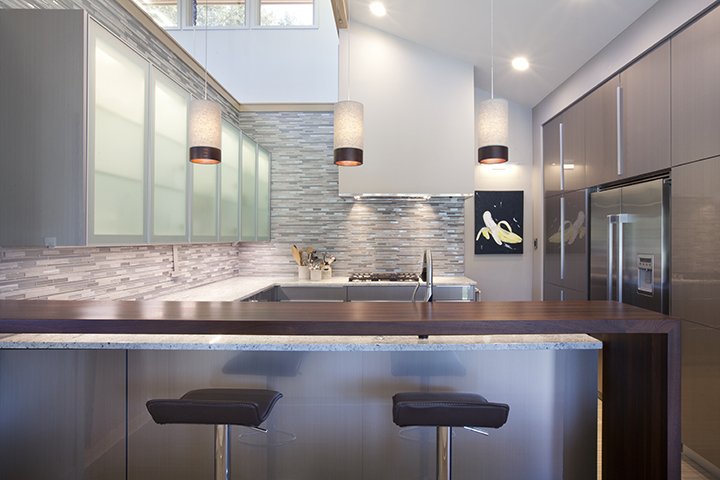 Visit the Grothouse Countertop Image Library to see more kitchen designs featuring a Peruvian Walnut Waterfall Bar Top. This entry was posted in custom wood countertops, Custom Wood Surfaces, Pastore Waterfall Countertops and Tables, Wood Countertops and tagged custom wood countertops, Interior Decorating Wood Countertops, wood counter tops, Wood Countertops by Denise Grothouse. Bookmark the permalink.